I have tried many different dance schools and came to conclusion that Afrolatino is the best one for many different reasons: friendly and cozy environment, quality of teaching by Albena, her attention to deal, and variety of moves taught. She teaches authentic Cuban salsa that is danced in Cuba. Her other classes like kizomba are just as great. 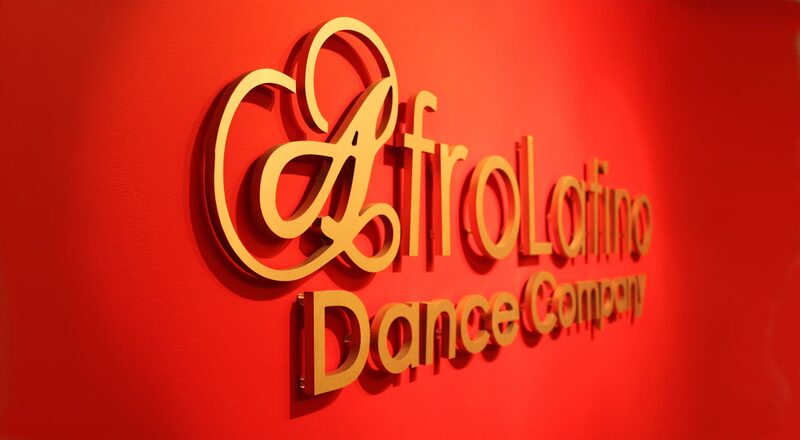 AfroLatino Dance is an amazing studio to learn and have fun. The atmosphere is welcoming and inviting. I couldn't imagine dancing any other place!!! I love the instruction style and all of the teachers, I have felt welcomed from the moment I arrived. It's my favourite place to be. I stepped out of my comfort zone when I stepped into AfroLatino's weekly Saturday social, and I discovered a side of myself through dance I never knew existed. I also discovered a social circle of intelligent, passionate and hell-of-a-lot-of-fun people I wouldn't have met otherwise. Cuban Salsa started my dance addiction and from there it's expanded beyond anything I imagined. And I'm certainly more fit now than I was a year ago. When I say I can dance all night, I mean it. AfroLatino Dance Company is simply the best school to learn authentic dances such as: Cuban salsa, Brazilian Samba and much much more! I have been dancing with AfroLatino for approximately 3 years. The atmosphere that the school provides is incomparable to any other school. Everyone there surely makes you feel comfortable, the teachers and assistants have a lot of patience and are very persistent! there are a lot of benefits to dance! it will definitely increase your confidence level! and will keep you in shape! therefore, if you're looking for a dance school to learn how to dance or to simply improve your dancing i strongly recommend AfroLatino Dance Company hands down!! It has been around 5 yrs now since I took my first class at AfroLatino Dance Company and I still enjoy the classes!! I fell in love with Albena's Brazilian Samba and Lady's Salsa Styling classes and was quite happy I discovered the school. The friendly and family atmosphere at the studio has always been welcoming. For me this was the only school in Toronto where I was able to learn the authentic movements of Brazilian and Cuban dance. I love the company and would recommend it any day! The party was really great. Thank you soo much for organizing the performance group. It was honestly the best dancing experience I have ever had. Also, I really have to thank you for encouraging us during the performance itself... That was very nice of you. THANK YOU! I have truly enjoyed classes with you...I have been wanting to try cuban for a while after dabbling with other styles and I have to admit I thoroughly enjoy this style....Really keep up the good work! Albena, thank you so much for a wonderful lesson. The girls who couldn't make it are kicking themselves for missing all the fun. We are already planning to come back. I just wanted you to know your easy-going, fun spirit and patience is so warming. You by the way have an amazing figure and we're looking forward to learning a lot more from you. See you soon! Albena, thank you so much for coming to Energetic Soul [in Detroit]. Your technique is amazing and your spirit is so sweet. We can hardly wait for the next time we can steal you away from Toronto again! Be blessed. Thank you for your passionate and energetic instruction and for introducing me to this amazing dance (Samba) - I love it! Thank you very much for teaching me Sententa Complicado, Noventa, El Dos, Montana, etc as well as letting me do your group class. I got a lot of benefit, and the good news is I can reproduce all those moves in Australia. I just wanted to let you know that I have tremendously enjoyed the Samba classes, it's been a wake-up call of how much out of shape I feel (lol) but I love this music and with summer coming soon (hopefully) I would love to add a little twist and take Brazilian Samba again and alsoAfro-Cuban Movement. I've watched your Friday classes and fell in love with it. I love the Latin Cardio and Brazillian Samba classes. You are an excellent instructor. Everyone I have spoken with feels the same way! All the best to you and I will see you in the new year for sure!